Overland to Kuala Tembeling jetty, passing vistas of scenic countryside. 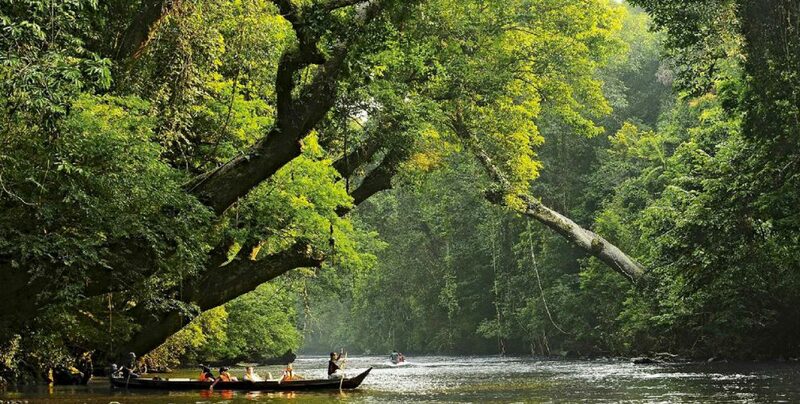 Enjoy a three hour up river longboat ride to Kuala Tahan jetty at Park Headquarters. After dinner, watch a slide show that introduces you to the attractions of Taman Negara. Experience a night walk through the jungle and enjoy a symphony of sounds of the cicadas and other insects. After breakfast, depart for a hike along the nature trail to Teresek Hill for a distance view of Mount Tahan. 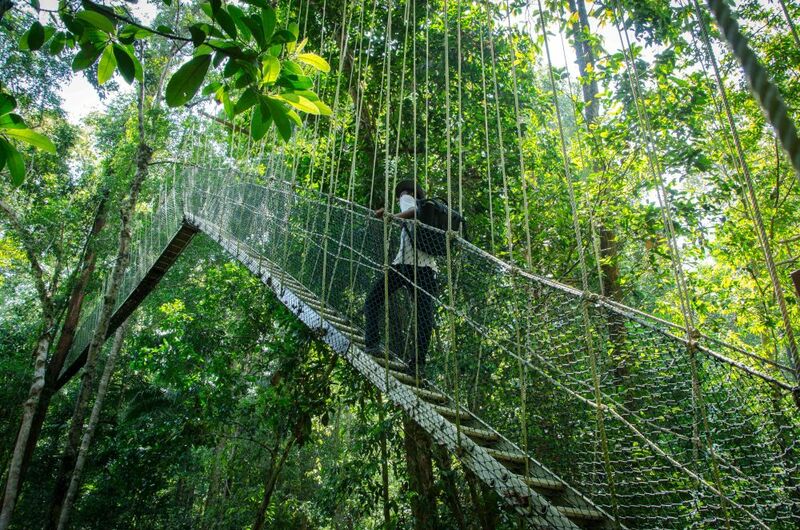 Experience the exciting canopy walkway to view plant life at up to 50 feet above the forest floor before returning to the resort for lunch. After lunch, you will take a boat cruise to Lata Berkoh, a series of rapids on the Tahan River, where you can relax and enjoy the cascading waterfall and swim in the deep pool.